Aitken, Donald W. (२०१०). Transitioning to a Renewable Energy Future, International Solar Energy Society, January, ५४ pages. HM Treasury (२००६). Stern Review on the Economics of Climate Change, ५७५ pages. International Council for Science (c२००६). Discussion Paper by the Scientific and Technological Community for the १४th session of the United Nations Commission on Sustainable Development, १७ pages. International Energy Agency (२००६). World Energy Outlook २००६: Summary and Conclusions, OECD, ११ pages. International Energy Agency (२००७). Renewables in global energy supply: An IEA facts sheet, OECD, ३४ pages. International Energy Agency (२००८). Deploying Renewables: Principles for Effective Policies, OECD, ८ pages. International Energy Agency (२०११). 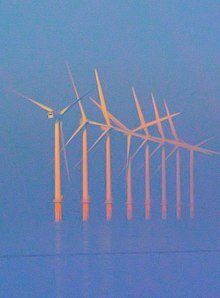 Deploying Renewables 2011: Best and Future Policy Practice, OECD. International Energy Agency (२०११). Solar Energy Perspectives, OECD. Lovins, Amory B. (२०११). Reinventing Fire: Bold Business Solutions for the New Energy Era, Chelsea Green Publishing, ३३४ pages. Makower, Joel, and Ron Pernick and Clint Wilder (२००९). Clean Energy Trends २००९, Clean Edge. National Renewable Energy Laboratory (२००६). Non-technical Barriers to Solar Energy Use: Review of Recent Literature, Technical Report, NREL/TP-५२०-४०११६, September, ३० pages. REN21 (२००८). Renewables २००७ Global Status Report, Paris: REN२१ Secretariat, ५१ pages. REN२१ (२००९). Renewables Global Status Report: २००९ Update, Paris: REN२१ Secretariat. REN२१ (२०१०). Renewables २०१० Global Status Report, Paris: REN२१ Secretariat, ७८ pages. United Nations Environment Programme and New Energy Finance Ltd. (२००७). Global Trends in Sustainable Energy Investment २००७: Analysis of Trends and Issues in the Financing of Renewable Energy and Energy Efficiency in OECD and Developing Countries, ५२ pages. Worldwatch Institute and Center for American Progress (२००६). American energy: The renewable path to energy security, ४० pages.